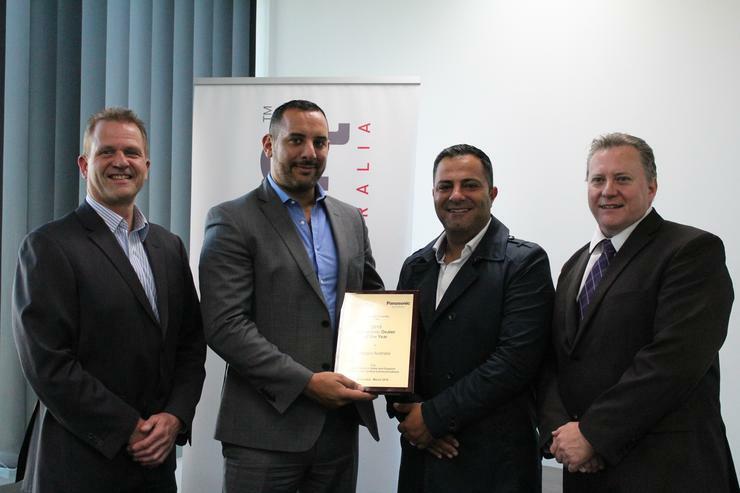 Panasonic has named Nexgen, as the winner of its Panasonic Australia PBX Dealer of the Year award. This recognition was off the back of a successful 2015 for Nexgen. The Sydney-based hardware integration specialist picked up the Dealer of the Year Award after a year of strong sales growth in unified communications. Nexgen was awarded the title for achieving the top total sales for FY2015 (April 2015 to March 2016), driven by Panasonic’s KX-NS700 Smart Hybrid PBX Business Telephone System. Panasonic unified communications (UC) national manager and judge of the Panasonic Australia PBX Dealer of the Year award, Graham Gibbs, said Nexgen faced tough competition from a field of more than 150 Panasonic UC dealers nationwide to take the Dealer of the Year award. “Nexgen achieved an outstanding result selling our KX-NS700 product. This was a newly-launched product that was very important to us and the Nexgen team’s dedication and commitment to Panasonic was outstanding,” he said. The company also won the Panasonic High Achievers Program award, where it was rewarded with an exclusive incentive trip to Japan. Nexgen won this title as it was one of 10 PBX dealers nationwide to achieve record sales of the KX-NS700 Smart Hybrid PBX System over a three-month period. Nexgen Australia director, James Harb, said the awards are a testament of the hard work that the Nexgen team have put in over the year. “Being announced as Dealer of the Year comes as a result of hard work, commitment and determination. Nexgen Australia could not have achieved this success without a great team and the support of Panasonic and its distributor, CommsPlus Distribution. It is a great honour and a true reward,” he added.